A HONEY FOR THE MONEY~ You will Love this home! All Brick home with 2 car detached garage! Very neutral colors thru out- The 3rd bedroom is currently set up as a laundry room for convenience-could be changed back to a 3rd bedroom there is also laundry hook up in basement. The Main Bathroom has a Wonderful "Walk-In" Jetted Bathtub!! Close to: Shopping, Freeways, Schools, Parks, Restaurants.Great Walking Neighborhood!!! 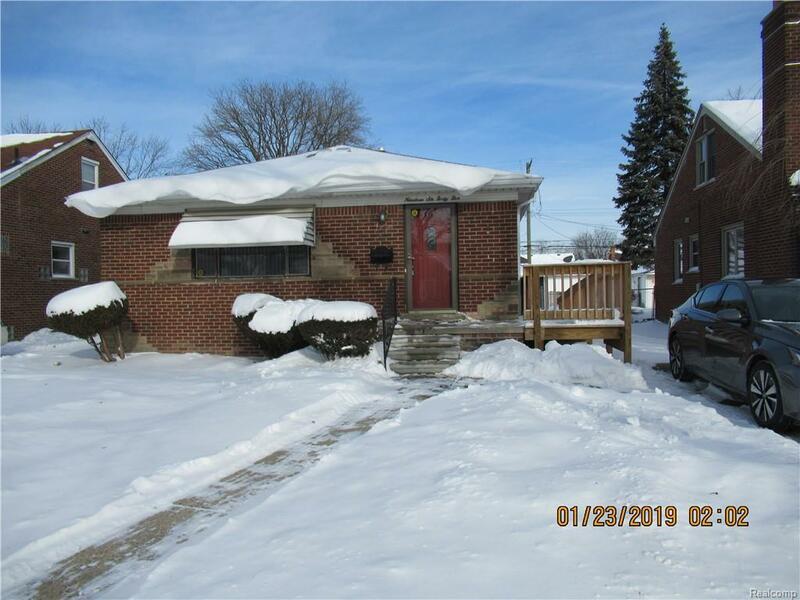 This home is being sold "As Is"Buyer to assume any City inspection and any required repairs.